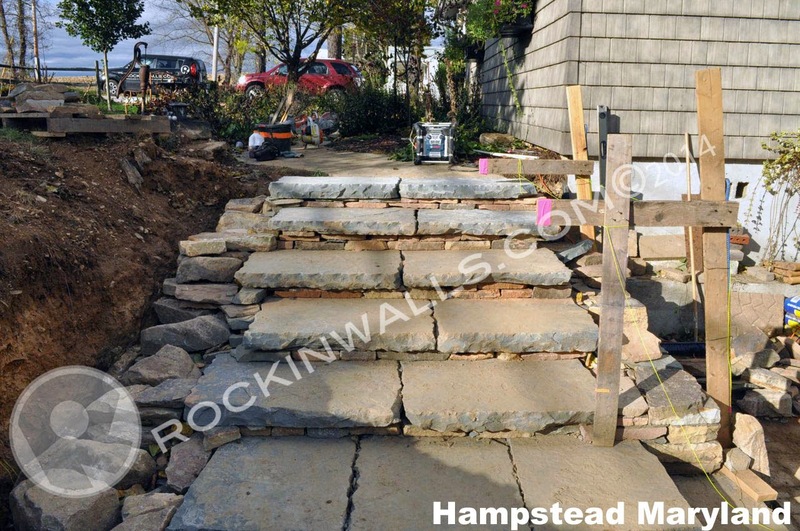 Recently I finished up some steps and cap stones. 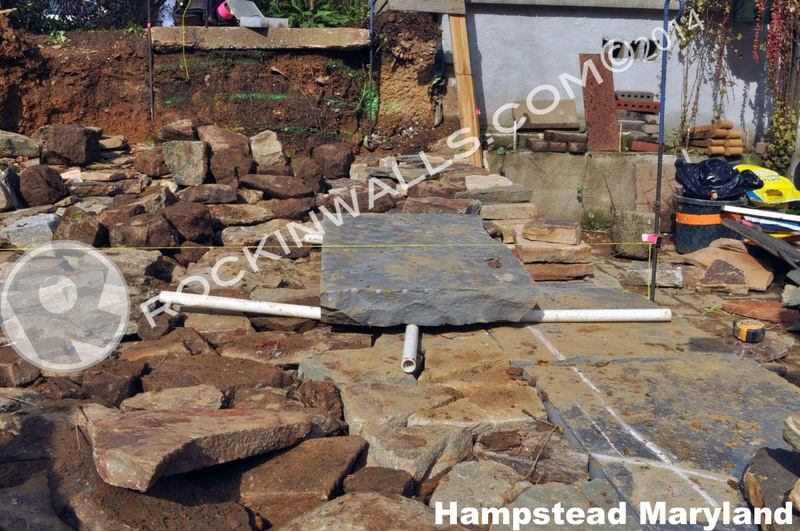 On this project I realized I needed a better mouse trap to help me with this job of placing 44 2'w x 3'l x 2'.5"-3'.5"h. Each stone weight in around 150-250 pounds. Just enough to make these easy to move but not really. 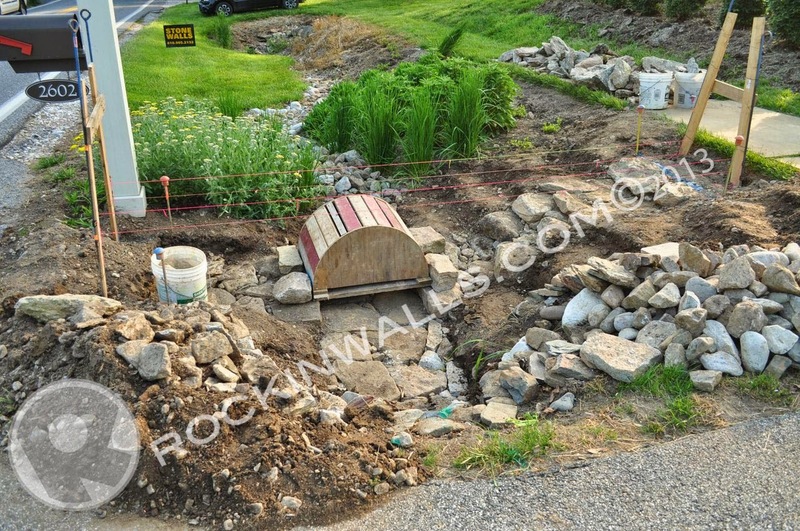 I started with moving the stones into place with my dingo and PVC 1" pipes to roll them around. 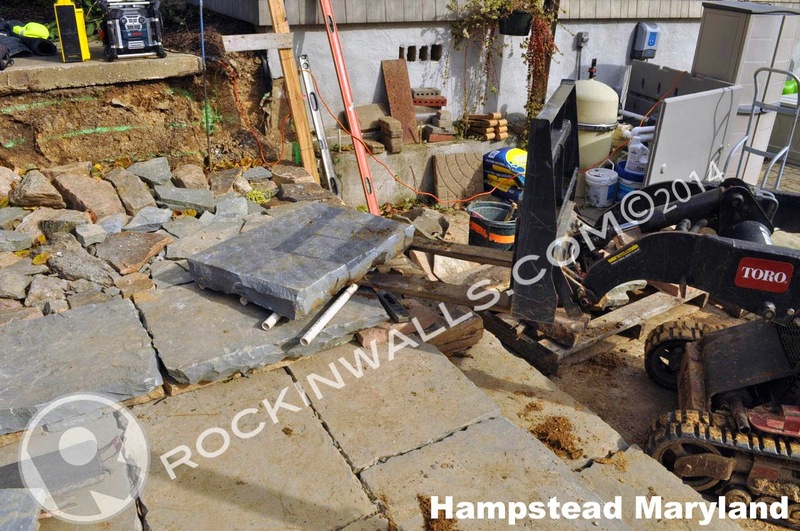 This second step I placed a string line on my rebar across going back so I had a quick reference for my height. The chalk line on the first steps just gives me my placement for my over hang edge. This is what I found in my work trailer for my better mouse trap. I had made these to help me adjust my arch frame (seen below) to make it level. They didn't work as I planned since I made the angle to steep. So they just sat, and sat and sat some more in my trailer un-used. With out a purpose they felt left out. Until now!! I had cut 2 2x4's and screwed them together making wood wedges. Now when all else fails I just get the big arms out to do all my heavy lifting. Yes I do have a thumb on this machine - Some times the strap is just a softer solution for placement. Now if you don't have one of these amazing machines to assist you maybe an extra person will do the job or just roll them into place. 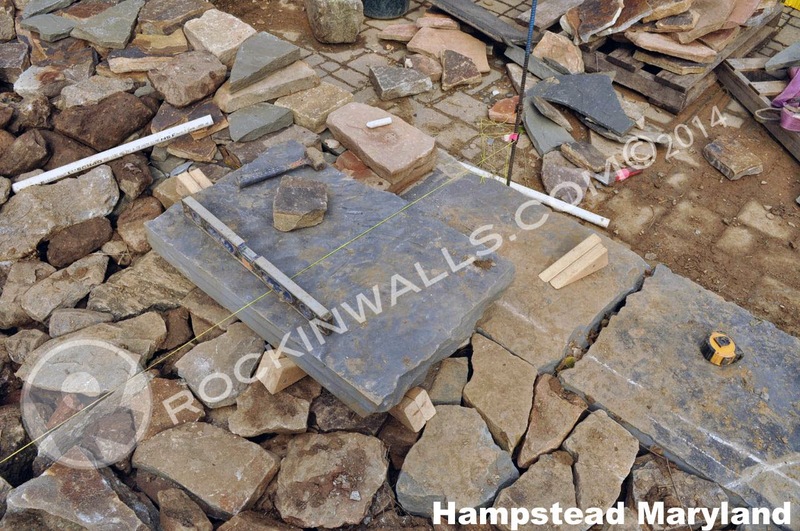 I place large boards down on my wall to protect the small stones during placement. Then I place my caps down. First in order for me to see what needs to be cut, trimmed or modified before wedging them up. Notice my collection of wood boards just incase my wooden wedges are not tall enough. 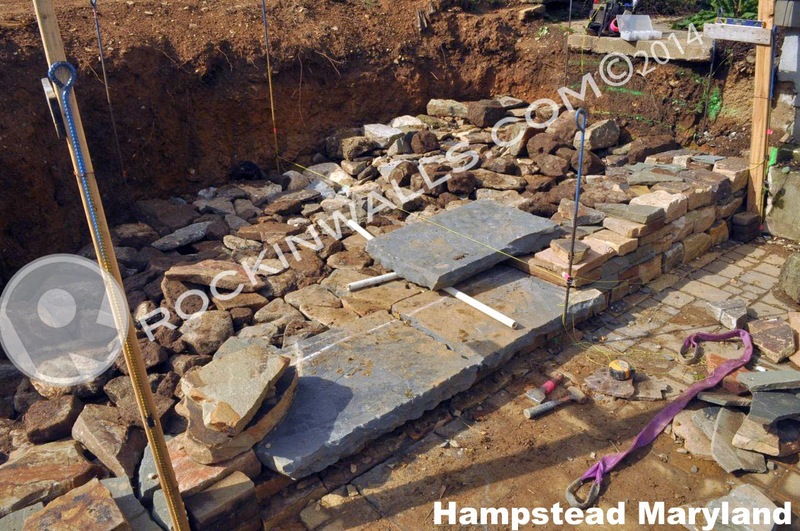 I place extra wood or stone underneath then build up with stone under the cap/step then slide my wedge in to give me the chance to fit the last of my stone in under to cap/step stone. So let me recap since I missed the most important part stone under the cap. 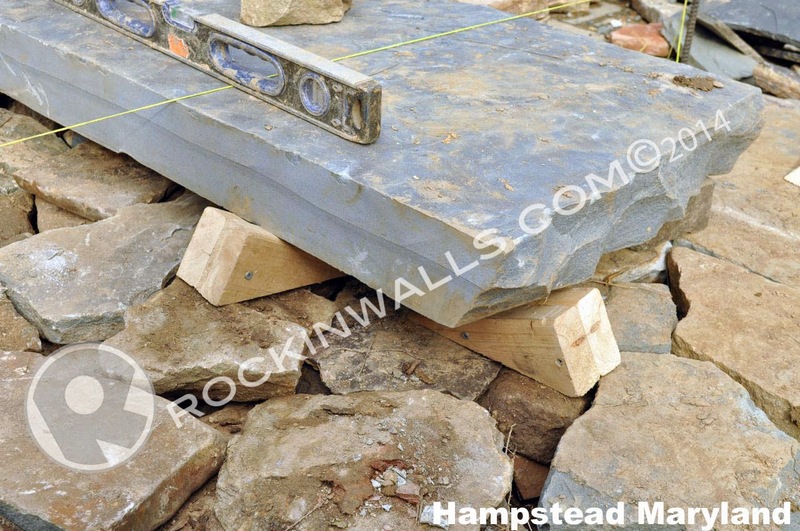 1) Roll cap/step stone into place. 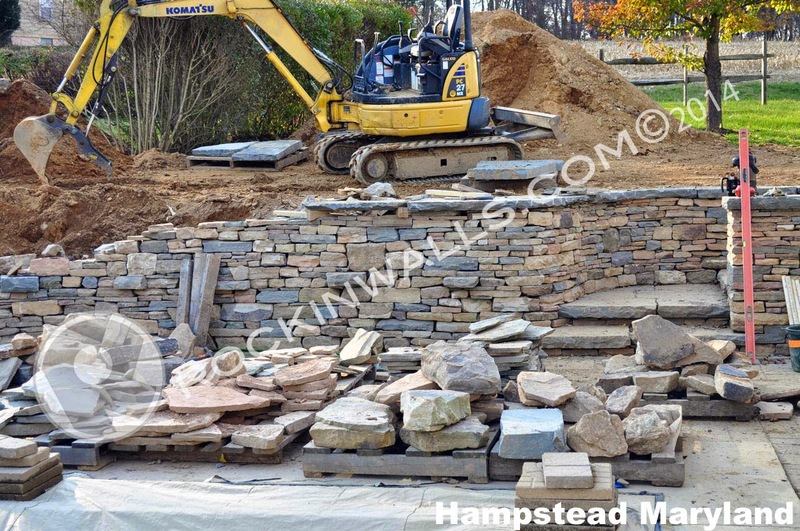 2) Lift stone to height with wedges. 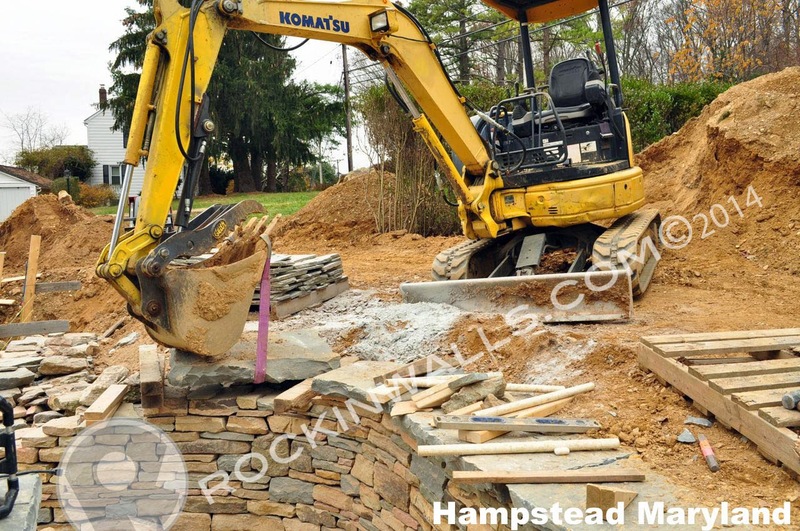 3) Use wedges to adjust stone to level or pitch down for water run off. 4) MISSED content -Place stone under the caps/step stone in order to fill the voids with correct sizes stones typically needing to be tapped in. 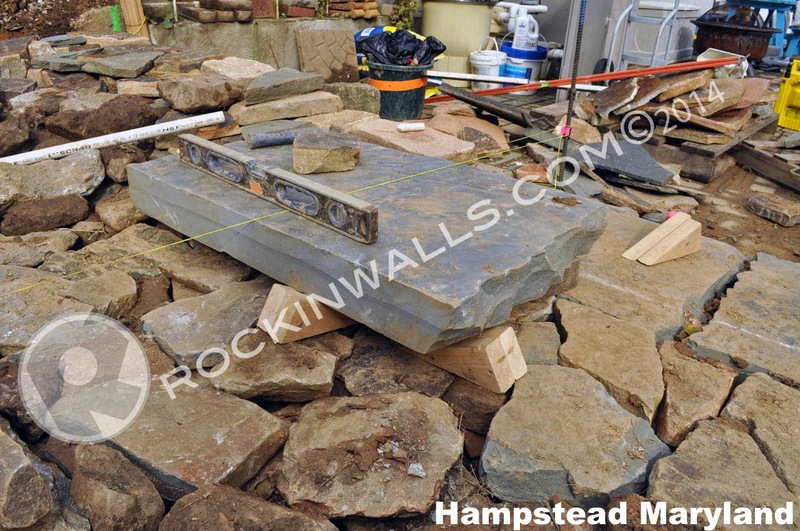 Helping to make good contact to help set the stone on top of the wall. Now I could talk more about this subject but I have another blog that does just that. I just wanted to share my Better Mouse Trap - The Wooden Wedge. Of course this is just my madness of how I do it. As always your post is great. Thanks for the mention. It's just what I do. Making something from nothing. Happy holiday's !